(LANSDOWNE, ONTARIO) With all the advances in agriculture over time, a straight furrow is still important. And the 4-H is still going strong, teaching young people this and all the other skills they need to keep farms alive and healthy far into the future. This year is the 100th anniversary of the International Ploughing Match. In honour of this great achievement, on Friday, August 30, junior competitors will gather at the Modler farm, across the road from 273272 County Rd 34 in Lansdowne. Competition will start at 10:00 a.m., with about 35 4-H members expected to participate. A lot of help will be provided by coaches and mentors, and prizes are to be given out later in the afternoon. A celebration cake marking this anniversary will also be available. For more information, please contact Grace Bresee at 613-273-5287. 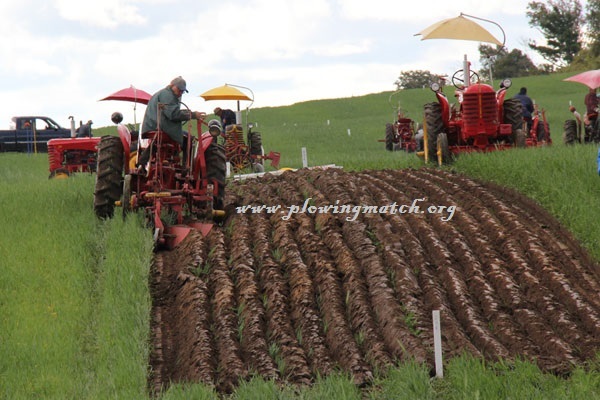 This entry was posted in 4-H, Announcements, Clubs and Organizations, Events and tagged 4-H, lansdowne, on, ploughing match, plowing match by llpayette. Bookmark the permalink.